Dr. Johnathan "Jay" Perryman specializes in the latest in the management of complex sports problems, including arthroscopic management of difficult arthroscopic knee and shoulder surgery issues. The reviews listed below were collected independently of New England Orthopedic Specialists through rater8. Each review represents an authentic and verified patient experience. He was great. Unfortunately we determined my problem was not shoulder related so he referred to another group and got me a very quick appointment. Dr. P was outstanding from start to finish! 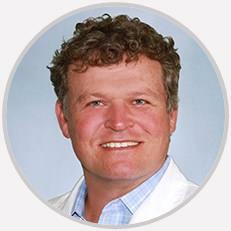 Dr Perryman’s expertise in locating the exact point of pain is exceptional. I have had 2 injections at 2 different sites. He located the site and administered relief med perfectly both times. Dr. Johnathan "Jay" Perryman specializes in the latest in the management of complex sports problems, including arthroscopic management of difficult arthroscopic knee and shoulder surgery issues. Prior to joining New England Orthopedic Specialists, he was a team physician for the New York Jets, New York Rangers and Hofstra University athletic teams. As a fellow in sports medicine at the Lenox Hill Hospital in New York City, Jay participated in the care of career professional athletes on a daily basis and participated in training in arthroscopic and open treatment of sports-related injuries. After earning a bachelor’s degree in biology from Dartmouth College, he received his M.D. from Georgetown University Medical School and was a resident in Orthopedic Surgery at Duke University. He was also a research assistant for the Department of Orthopedics at the Hospital for Special Surgery in New York City. He is a member of the active staff at North Shore Medical Center, and Beverly Hospital.